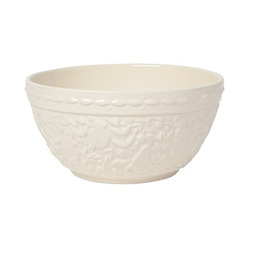 Mix, stir and whisk in this sturdy embossed mixing bowl. The textured surface provides extra grip while also adding a vintage feel. Take them from the kitchen to the table as a beautiful serving bowl.